Whatever your security needs may be, we have got you covered offering the right wristbands for your venue. 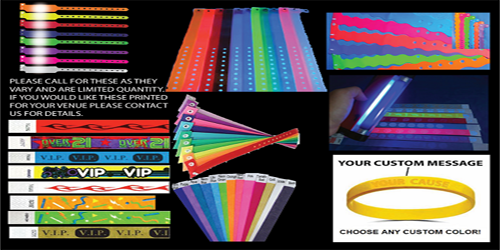 Tyvek, Vinyl, Plastic, and Silicone Wristbands in a variety of styles, types, colors and patterns as well as custom printing.Unlike most retailers, we can customize your ID wristbands to say whatever you need for whatever function or special event that you may have. Wristbands help with managing your door, crowd control, accounting, security and just differentiating crowds of people. Night Clubs, Festivals and Special Events have been using them for masny years and now waterparks,Fairs, lounges, concerts, events, parties, even weddings and corporate events are getting on board with the scene. 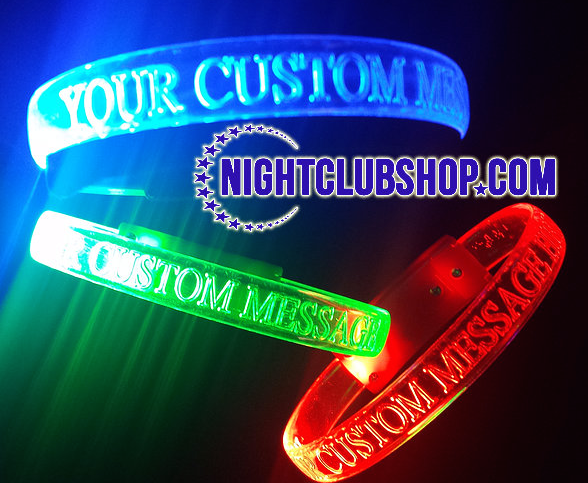 Let NIGHTCLUBSHOP.COM make you your own customized wristbands for your special events and look no further. 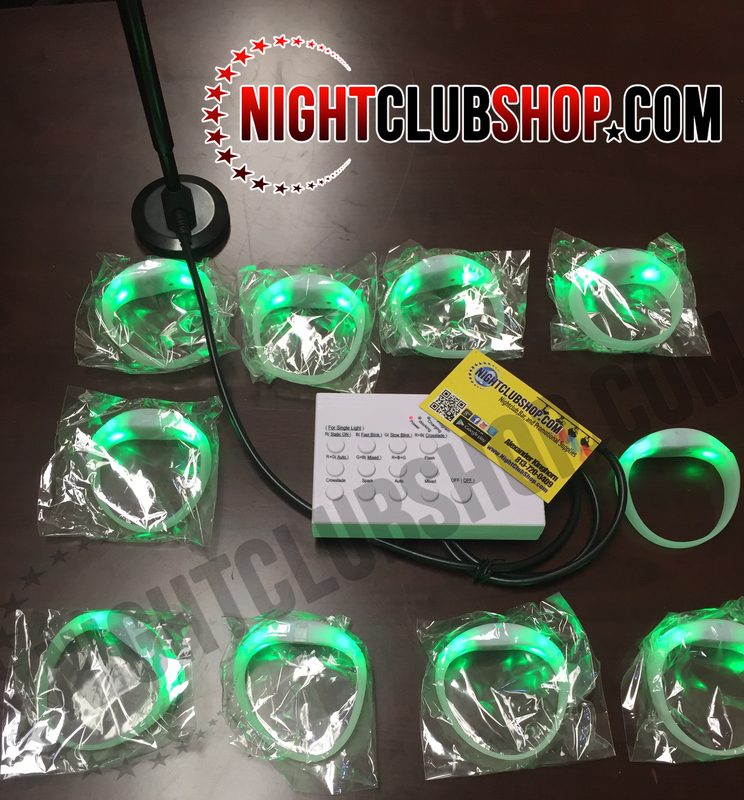 Available in Bulk pricing for bigger Venues, we are ready to take care of your security needs.